You will find some great ideas for locations across the UK to match all budgets. Select from weekend breaks and short breaks in cottages, apartments and holiday flats in the restful countryside or maybe in a lovely coastal location. We think most Mum’s will just enjoy putting their feed up for some well deserved R&R, so how about a choice of the Cotswolds, Snowdonia, Norfolk Broads, Pembrokeshire, the Lake District or the Cairngorms? Of course if your Mum would prefer something more active, you can choose a cottage break near Alton Towers or Chessington World of Adventures to get the blood pumping! We think our Mum is definitely worth a special treat this year, how about you? 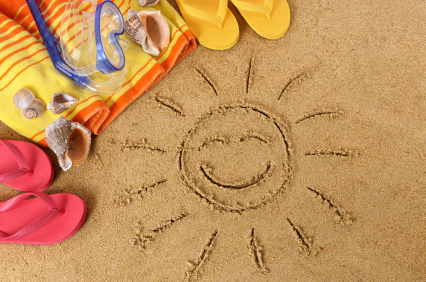 What’s on your Family Summer Holiday Wish List? As the nights draw in, our thoughts have definitely turned to what we are going to do for our summer holiday next year. It’s always a challenge to find a holiday that will entertain and please all members of our family. So far our plans have taken us right across Europe and back at least twice and yet we still can’t make a decision. We are very tempted by the thought of the Swiss mountains, all that beautiful countryside, blue lakes and clear fresh air. But then we would miss the beach, those rolling Atlantic waves have given us some of the happiest holiday memories. Or how about enjoy the wonderful diversity of Britain with a staycation. Mmmmm, decisions decisions. Where will next summer find you and your family? Building sand castles on a sunny beach? Taking a stroll around a sparkling lake, or exploring the valley and village of the countryside? It’s so difficult to choose which is why we started looking more closely at our wish list for the summer. Internet access – ok, so not an essential but we do like to interact while we are away! Mossi free! Life is too short for constantly applying mosquito repellent. That’s our list so far, so what is on yours that we should consider? It’s been a strange week so far, winter weather conditions one moment, blue skies and sun the next, but it’s clearly not just me that is confused judging by my mail in-box. So far I have been offered some great discounts off sunglasses, holiday discounts for October half term and in my local supermarket I was confronted by row upon row of Christmas special offers! So which ‘urgent’ need should I be addressing first? The up and coming school half term, our Christmas plans or our 2013 summer holiday! I don’t know about you, but I am not quite ready to write off 2012 yet, after all it’s only the beginning of October. And, there are still things to look forward to including Halloween, Bonfire Night (and Fireworks), a number of music festivals and events, and of course the prospect of many cosy nights in. I still see plenty of opportunities for an October short break, a November get-away and a December holiday – but then I am all about the holidays!